Debenhams made the demand in a letter sent out to linen suppliers earlier this month, in which it also said it “expected” them to charge back to factories to make the required saving. The move, which Debenhams said only affected a small number of suppliers, was said by the company to reflect the strong performance of certain product categories. Forum spokesman Robert Downes said: “Any attempts to retrospectively reduce prices on contracts already agreed, and to encourage suppliers to do the same with their suppliers – wherever they may be – is not only deplorable but lacks ethics. “This is another disgusting example of big business asking suppliers to take a hit for their short term gain, and in this case, they’ve even suggested suppliers pass on costs themselves to factories. The ethics of this really should raise eyebrows. He added: “Debenhams have, by their own admission, said this was actioned on the back of strong performance in certain product categories, that’s hardly fair. These are simply punishing measures from a firm which only last week announced a profits warning, and who are clearly looking to share their pain with certain suppliers whose products are proving popular. 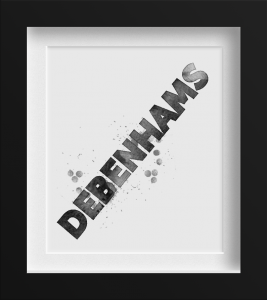 “Debenhams claim this was a one off action by a single buyer, but no doubt all their suppliers will now be worried sick that something similar is coming their way in the not too distant future, and who can blame them? “Because let’s be honest, this isn’t a company with a great track record for looking after suppliers by paying promptly, their standard payment times are 120 days. Willy Fog would have been almost twice round the world in that time,” he said. Last month the Forum criticised high street retailer Monsoon for introducing an invoice discounting scheme to its suppliers and says it fears tough conditions on the high street is prompting such actions by retailers looking to recoup losses through their supply chain. Added Downes: “Trading conditions may be tough but it’s no excuse to introduce measures like this, and we will continue to publicly name and shame those who do.